Once the Seattle Seahawks won the NFC championship game against Green Bay I immediately sent an e-mail to my clients titled “All Seahawks All The Time.” I knew the media would go crazy with Seahawks stories between then and the Super Bowl. Non-Seahawks news would get buried while anything – anything – related to the Seahawks would rise to the top. We immediately started brainstorming Seahawks-related stories, including this one, which ran on KING-TV in Seattle. In this blog post, I’ve decided to take my own advice and write my own “All Seahawks All The Time” story. What’s “Papa’s” secret? 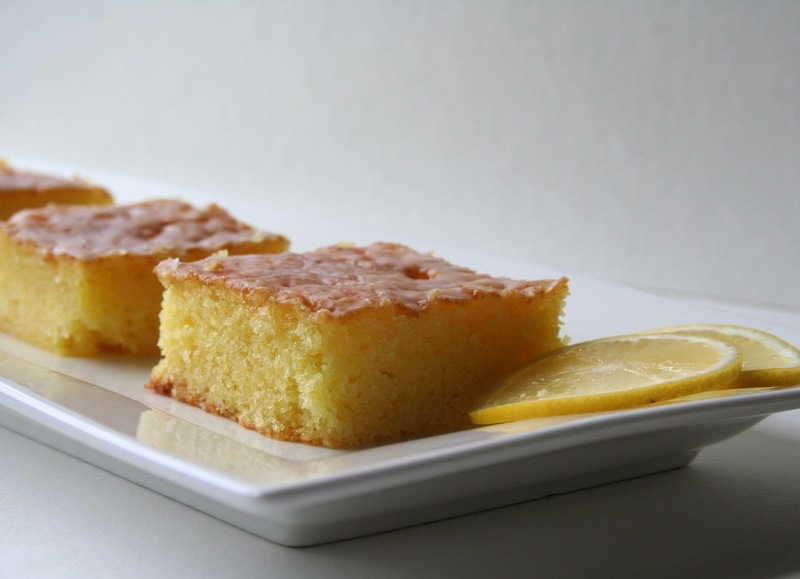 Lemon cake! As I watched the video of Papa making the cake, I immediately recognized it as the cake my mother used to make when we were kids. It was probably developed by the JELL-O kitchen, using a very popular ingredient of the day. Just like my mother, Papa mixed the lemon juice with the sugar, poked holes in the cake, and lovingly spooned on the glaze. Like Marshawn, I too love this cake. In fact, I loved it so much as a kid that I now often make it for my own family. So, in honor of “All Seahawks All The Time,” I’m going to take this opportunity to share Marshawn Lynch’s favorite cake from Papa! I’m going to make it for the Super Bowl party that I’ll be attending. I’ll now call it “Marshawn’s cake.” Feel free to do the same. Enjoy! 1 pkg yellow cake mix. Put in large mixer bowl and add 3/4 C veg. oil. Mix. Then add 4 eggs – one at a time and beat after each. 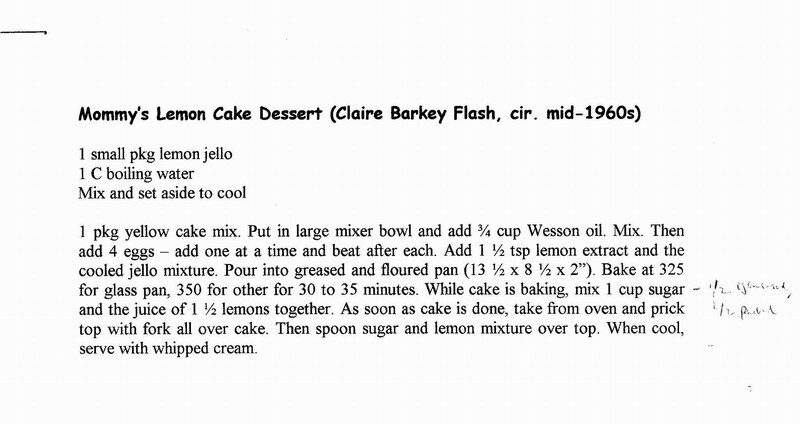 Add 1 1/2 tsp lemon extract and the cooled JELL-O mixture. Pour into greased and floured 13 1/2 x 8 1/2 x 2 pan. Bake at 325 for glass pan; 350 for other pan for 30 to 35 minutes. While cake is baking, mix 1/2 C granulated and 1/2 C powdered sugars together with juice of 1 1/2 lemons (I use fresh; Papa used bottled. I suggest you use fresh). As soon as cake is done, take from oven and prick top with fork all over cake. Then spoon sugar and lemon mixture over top. When cool, serve with whipped cream (or not).